I was greeted with a glass of white wine (Quintaluna 2012) within seconds of my arrival and although it wasn’t a favourite, it was certainly needed and much appreciated. After some welcome wine at the bar, we proceeded to our table waiting to be enthralled by the menu laid out before us. 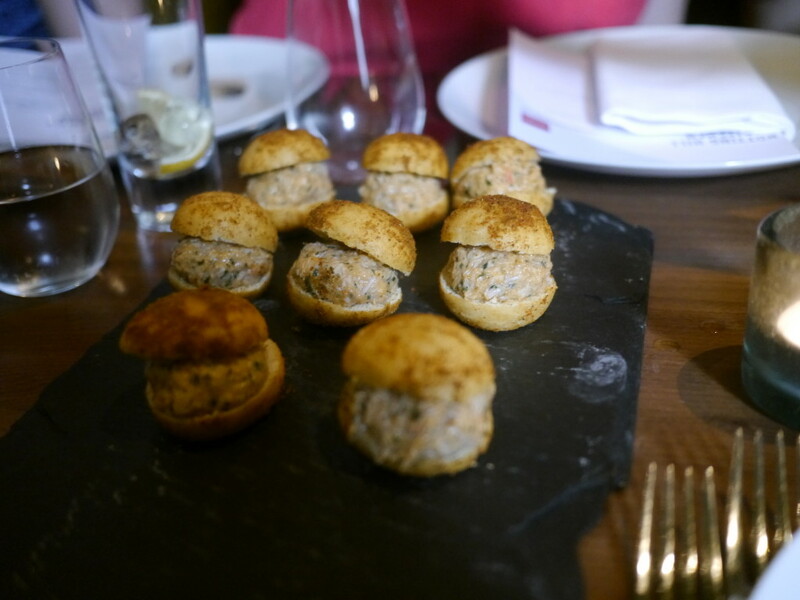 We started with the spider crab mousse presented as a beautiful, petite doughnut. 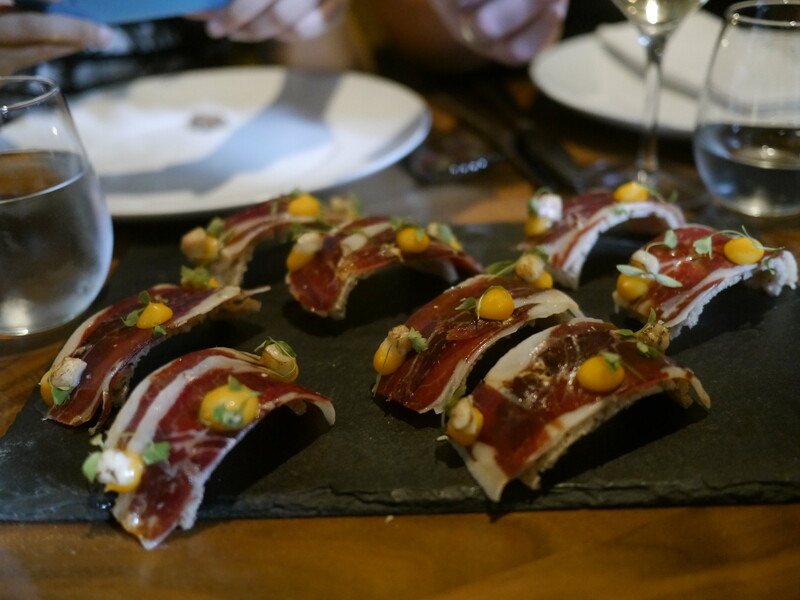 This tapas was unique, tasty and a promising start to our meal. 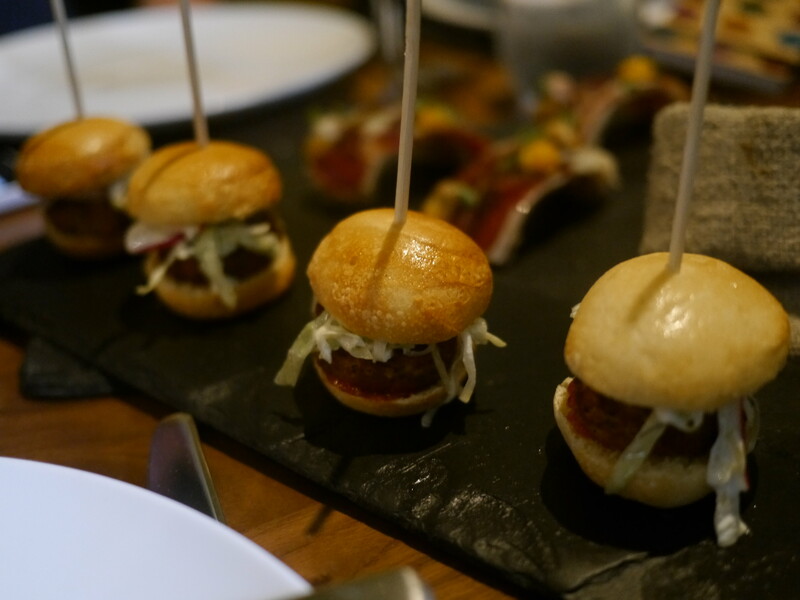 The Tiborna Alentrejana (bridges of pata negra on toasted sourdough with truffled yolk) and the Mac Silva (mini cod burgers) followed, both leaving me sufficiently excited for the rest of the meal. 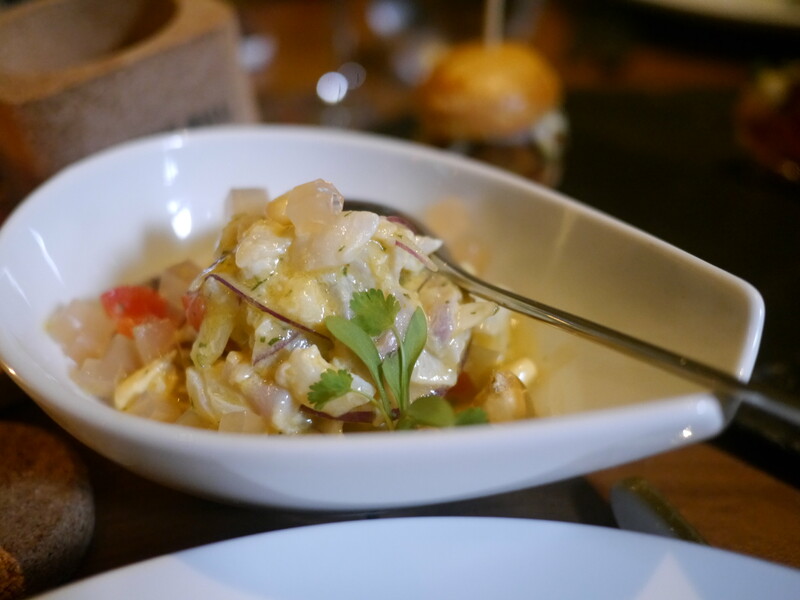 The seabass ceviche was good but I would have liked more chilli and definitely more lime. It tasted incomplete. 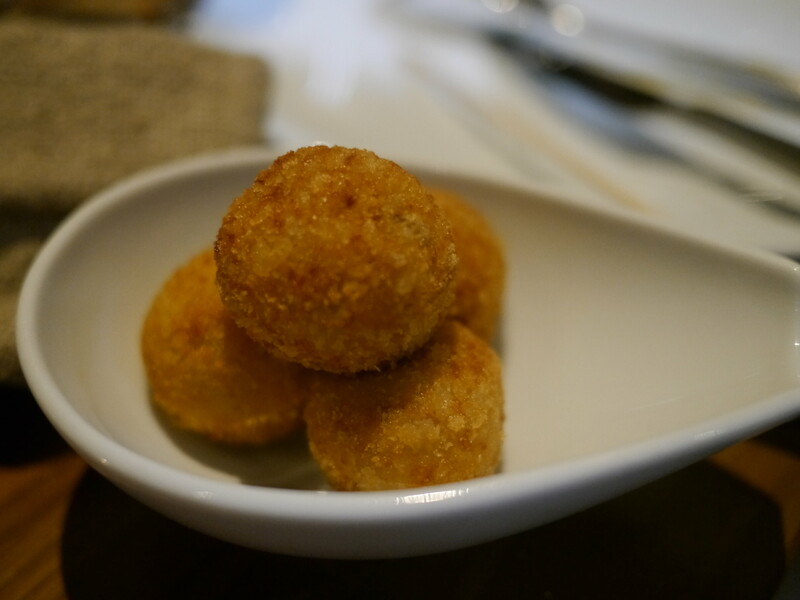 Jamon croquettas are a staple for me at any tapas restaurant. The Notting Hill Kitchen did not disappoint here. I loved the presentation of the pork but struggled with this dish. 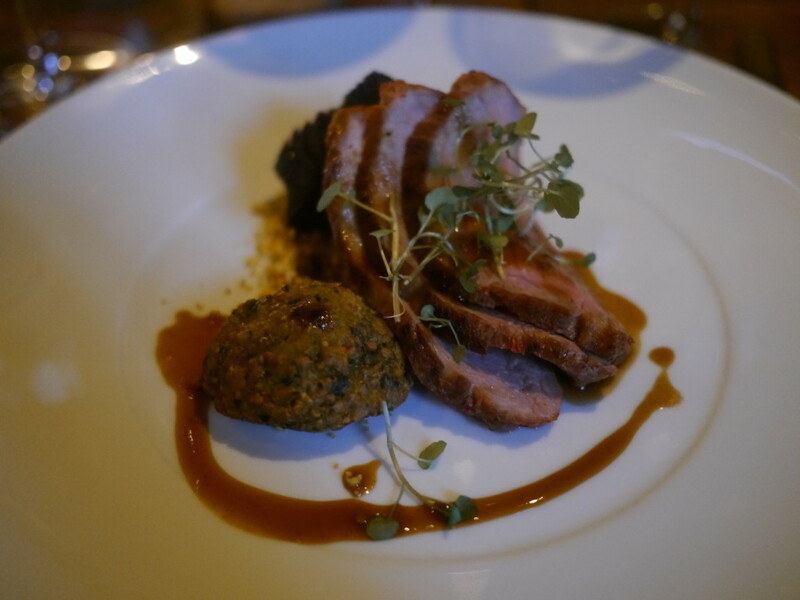 Chef Yossi’s red cabbage and lentil cake were enjoyable but the pork was just not for me. The saffron risotto followed and I had high hopes. 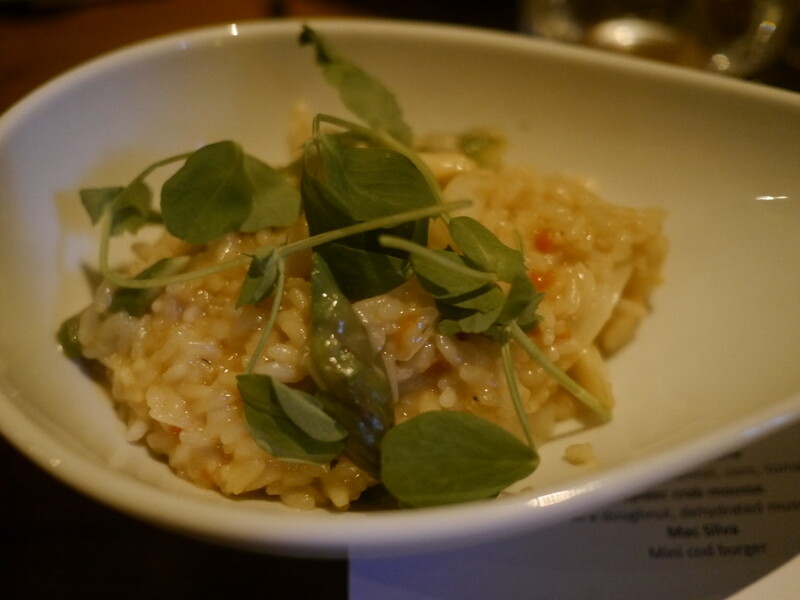 The white asparagus was fresh and although the dish was enjoyable, it was average, at best. 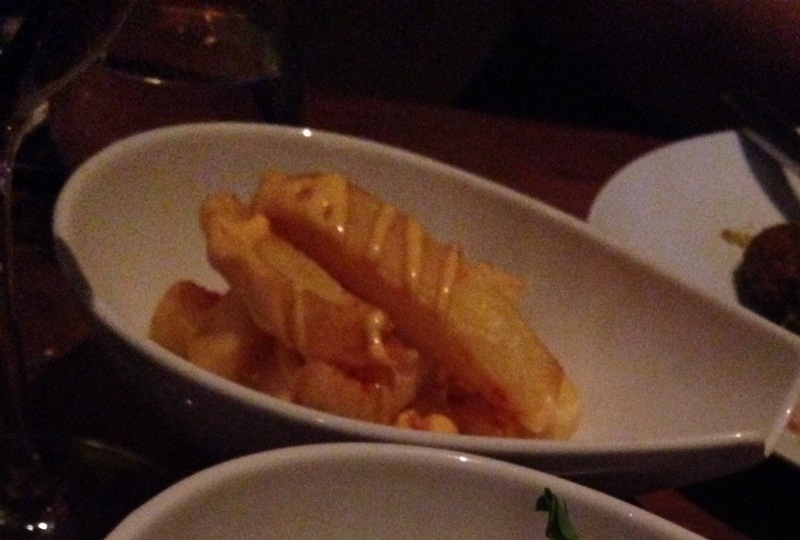 The patatas bravas were a huge disappointment and stood out like a sore thumb in both style and taste. 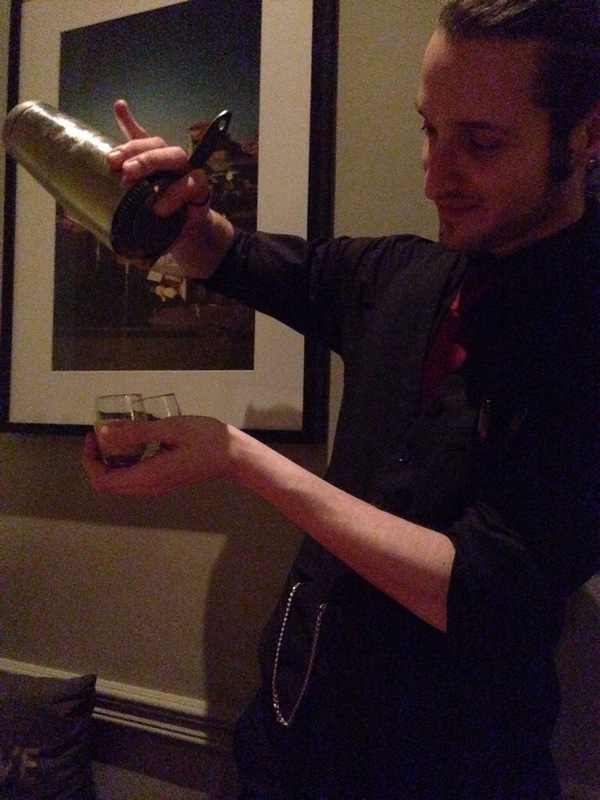 I was content with my wine but got tempted by the sudden offer of cocktails and ordered myself a fresh kiwi martini. Sadly, they ran out of kiwi and took the liberty of bringing me a lemon cheesecake martini. Unfortunately, I don’t like eggs or surprises in my drinks so this cocktail was definitely not for me. I wish they would have checked first before bringing it out on their own. Dessert was finally served after a rather long gap and it was the biggest disappointment of the whole night. It was hard to figure out what it was and the servers never explained it either. According to the menu, it was a ‘sweet plate.’ There was vanilla ice cream along with sour lemongrass flavoured ice? Served with a shot of cherry liqueur. Not sure what it was but it certainly wasn’t the way I expected the meal to end. 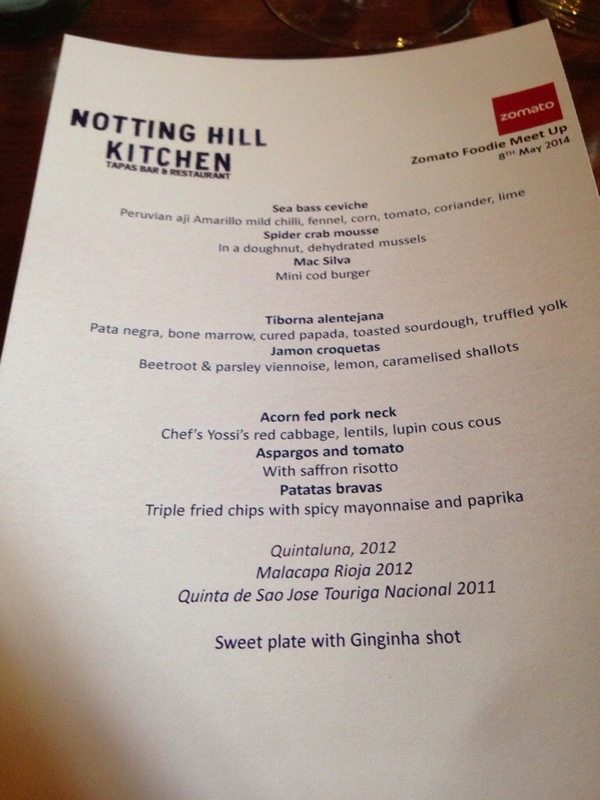 The meal at Notting Hill Kitchen got off to a great start but not sure what happened mid-way. The restaurant was buzzing on a Wednesday night so perhaps the staff couldn’t cope? Or maybe the cocktails disrupted the flow? I left quite confused. The best part about Zomato events is the opportunity to catch up with other food lovers, many of whom are already so familiar thanks to social media. I enjoyed catching up with fellow blogger friends and making new ones as well as the opportunity to interact with Zomato staff. 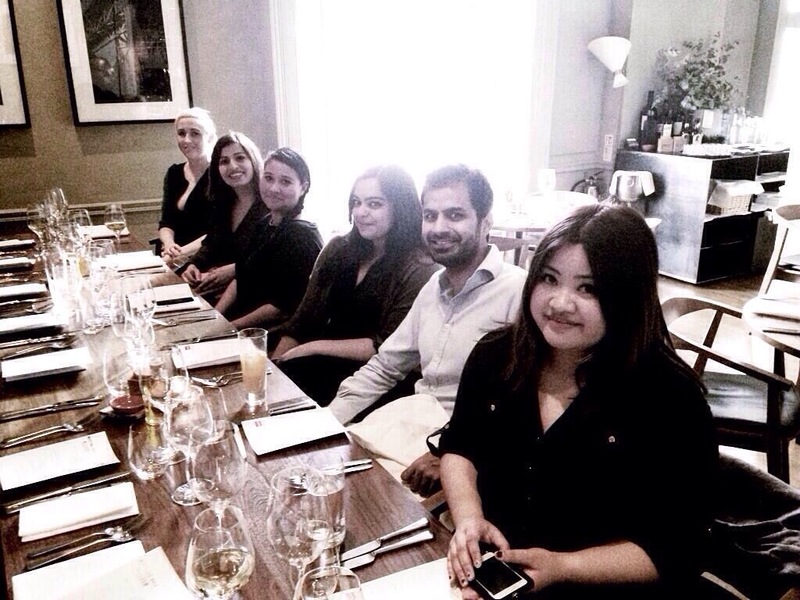 A huge thank you to Zomato and Notting Hill Kitchen for the invitation. While the Notting Hill Kitchen has a beautiful space and location, the food on this occasion was inconsistent. Worth a visit for the relaxed neighbourhood vibe and the spider crab mousse but don’t even think about wasting your calories on the patatas bravas or the sweet plate. Hungry Aphrodite dined as a guest of Zomato/Notting Hill Kitchen but all thoughts expressed here are, as always, my own. Still have no idea what that dessert was all about. Have shown photos to all kinds of people, and no one has been able to explain. Very strange! It seems that the evening was a success. Success and happiness in life!